Yes, watercress is the healthiest vegetable and it’s not just us that says so! In the USA, Whole Foods Market runs the ANDI (aggregate nutrient density index) which measures the amount of nutrients (carbohydrates, fats, proteins, vitamins and minerals) in a food related to the amount of energy (calories). The ANDI score is based on a scale of 1 to 1000 with 1000 being the highest nutrient density possible and has been developed to help consumers make smart nutritious decisions. Watercress scores a whopping 1000 on the scale putting it in joint first place with kale, right at the top of the crops and way ahead of blueberries, edamame, broccoli and spinach. Watercress is known to contain over 50 vital vitamins and minerals; in fact, this leafy powerhouse, gram for gram, contains more calcium than milk, more Vitamin C than oranges, more folate than banana and more Vitamin E than broccoli. Watercress is also rich in vitamin A (from beta-carotene) and contains useful amounts of vitamin K, thiamin, vitamin B6, potassium and iodine and is naturally low in sodium. Due to its high water content (93%) it is low in calories. It contains very little carbohydrate and fat but provides some protein. 1. Helps stop and slows skin ageing - Elastin and Collagen in the skin are broken down by sunlight. A compound called Isothiocyanate (ITC) and vitamin C which are found in watercress can help STOP and prevent the breakdown of collagen and elastin and lead to more production of collagen leading to younger, healthier and more elastic skin. This will therefore reduce cellulite and wrinkles. 2. Helps Lower Blood Pressure – Watercress contains nitrates that help create elasticity and in the blood vessels which therefore lowers blood pressure. 3. Helps fight Breast and Colon cancer – The compound Phenylethyl isothiocyanate (PEITC) which is found in abundance in watercress, interferes with a critical protein in cancer development. It turns off a signal called Hypoxia Inducible Factor (HIF) which is a signal that is released in order for cancerous tumours to spread to other blood vessels. This therefore is starving the tumour of growth and slowing the cancerous cells from spreading. 4. Improves Eye health – Compounds Lutein and Zeaxanthin are found in watercress. These compounds help block blue light from reaching the retina meaning a reduction in light induced oxidative damage which would lead to age related macular degeneration (AMD). 5. Reduces DNA damage caused by exercise - this applies to damage as a result of running for the bus as much as exercise undertaken by professional athletes. Eating watercress can help to mitigate the stresses the body is put under by physical activity and reduces the damage that those stresses inflict on the body. The mix of nutrients and phytochemicals found in watercress make it a valuable food that can help to support the body's natural defences and contribute to health and well-being throughout life. Few, if any, other foods can match watercress for its health properties and what’s so exciting is that we know there is still more to discover. Scientific research continues into this one of the original and genuine superfoods. We hope to be revealing new research imminently related to melanoma and how watercress can help protect you against that. There really is nothing better to be adding to your meals than watercress (and maybe a bit of kale!). Why not start your day as you mean to go on and have this super healthy watercress and mango smoothie for breakfast? 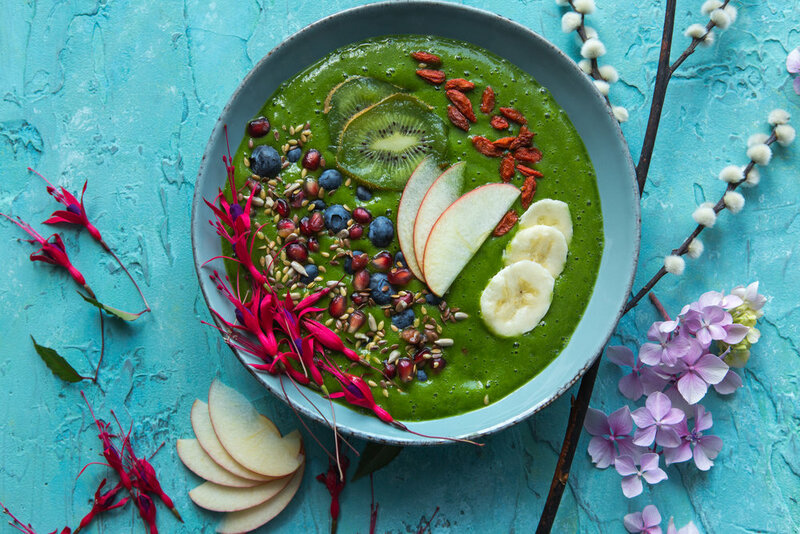 What’s more because watercress can be frozen without losing any nutrient value you can freeze this smoothie so you don’t need to make it fresh every morning if you’re short on time.